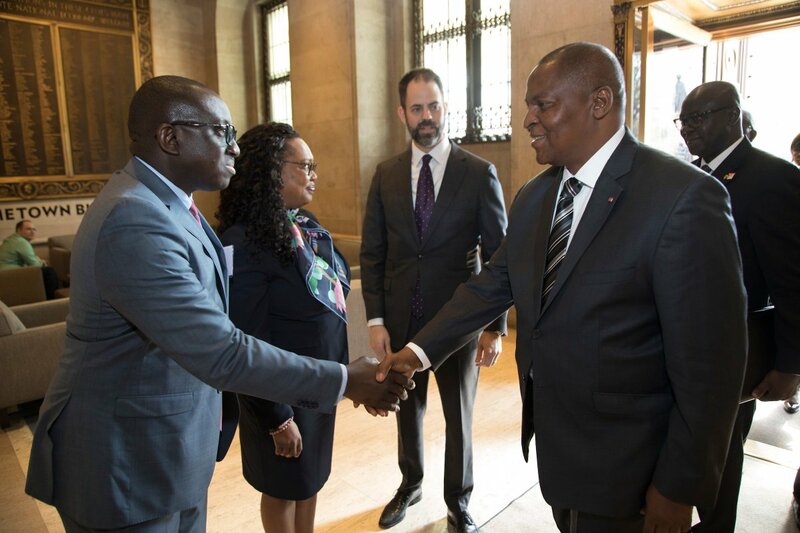 U.S. South Africa Business Council seeks to enrich investment and trade between the two countries. Serve as a platform for commercial engagement at the most senior levels of business and government. Enhance investment in the region of southern Africa by U.S. and South African companies. Government Dialogue: Engage with the U.S. and South African governments to promote consensus building on major issues in the bilateral relationship, advance business priorities, and provide networking opportunities for members by leveraging the U.S. Chamber’s position as the world’s largest business advocacy federation. 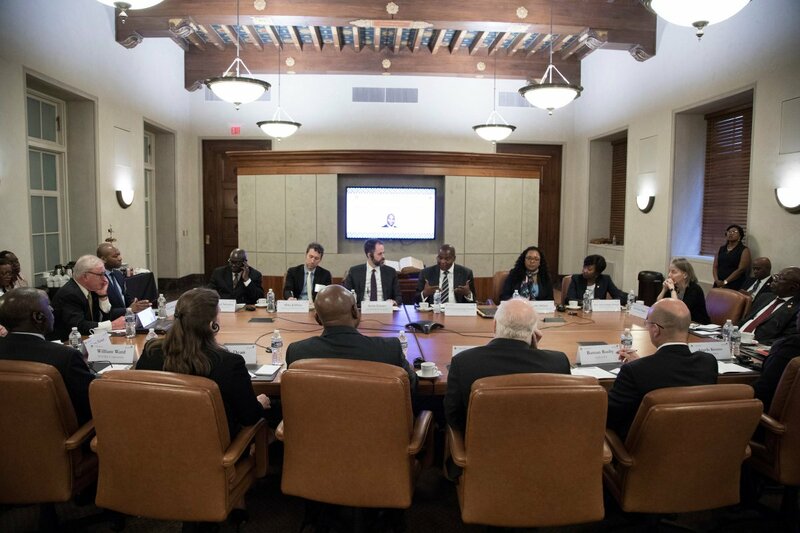 Bilateral and Regional Advocacy: Advocate for trade and investment openness through bilateral tax and investment treaties, lobbying for the reauthorization of AGOA, and other trade and investment related legislative initiatives. And provide input on and advocate for pro-business policies as they relate to regional integration via the Southern Africa Development Community and the Southern Africa Customs Union. Task Forces and Working Groups: Encourage the formation of member-driven policy groups that work with their South African private sector counterparts to advocate policy recommendations for both governments. 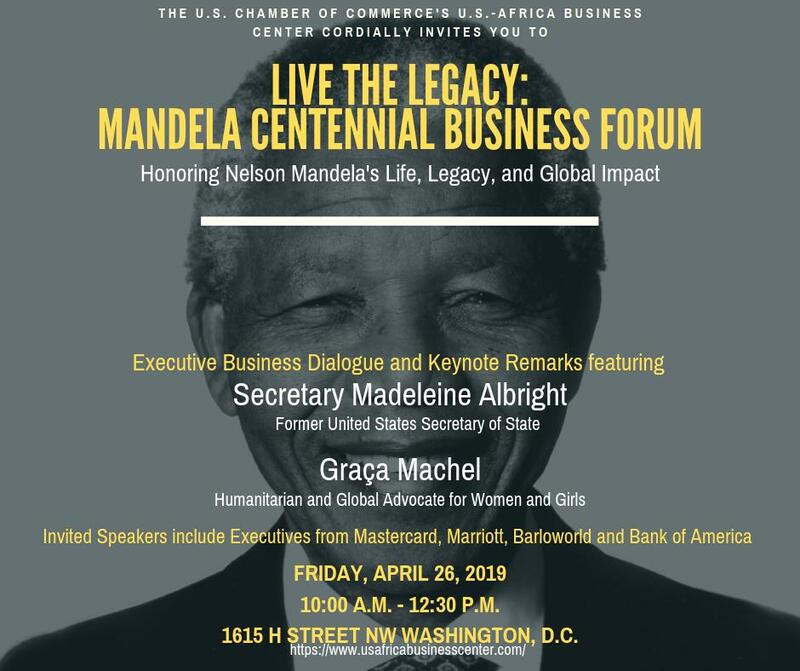 Trade Facilitation: Advocate for measures that enhance competitiveness to make the flow of commerce between the U.S. and South Africa faster and more efficient and to reduce trade transaction costs. H.E. 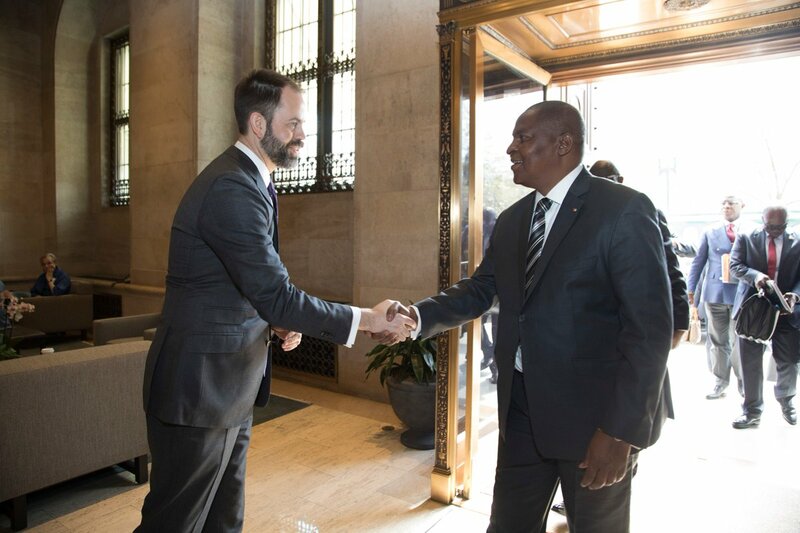 Faustin-Archange Touadéra, President of Central African Republic (CAR) joined us at the @USChamber to discuss reforms underway to attract foreign direct investment. 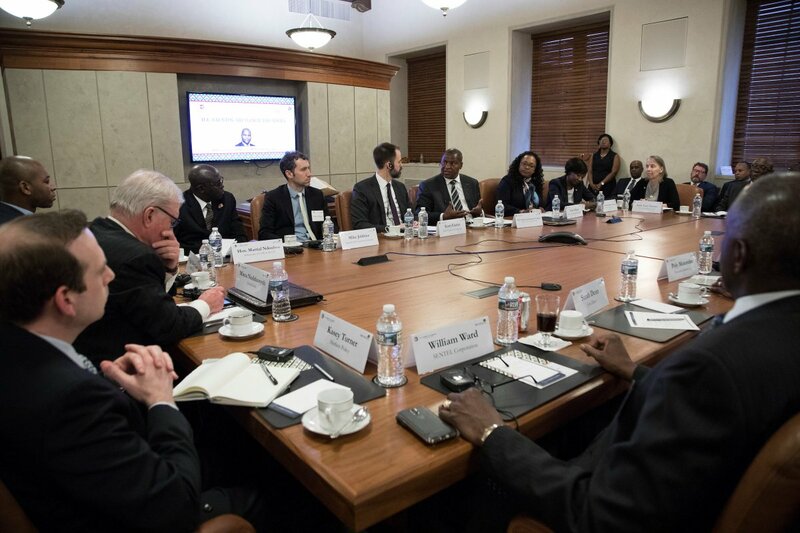 Thanks to our partners at @IGDleaders for organizing this with us.